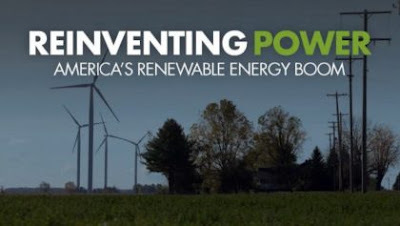 "Reinventing Power - America's Renewable Energy Boom"
Free to the public, but donations welcome. Parking is free in the church parking lot. Doors open at 6:00 p.m. with snacks and conversation. Movie starts at 6:30 p.m, with discussion afterwards.